Wake Up! Waltz is a rooftop dance series repeated across multiple chicago and new york city neighborhoods and boroughs during the weekday morning rush hour for urban commuters, produced by Curmudgeon Group. What is Wake Up! Waltz? a rooftop dance series repeated across multiple chicago and new york city neighborhoods and boroughs during the weekday morning rush hour for urban commuters. Yes. That's right. We're dancing on rooftops as you make your way to work. Wake Up! Waltz places over 60 professional dancers and choreographers on top of mixed-use and commercial real estate as you, the commuter, make your way to work during the weekday morning rush hour. From Long Island City to the Brooklyn Bridge, from Chicago's South Shore to Midtown Manhattan, Wake Up! Waltz transforms the way commuters and residents connect with their urban surroundings and activates the imagination through live, public performances of the Waltz, infused with everything from Jazz, Hip Hop, Tango, and more. Wake Up! Waltz is a free, dynamic, multi-site campaign produced by Curmudgeon Group that changes the way commuters interact with one another, their city, the workday, and the world; offering world class performances in the most unlikely of places at the most unexpected time of day. Wake up! waltz hit the rooftops of Chicago for 4 consecutive weeks in the spring of 2013. After moving to the Chicago suburbs in the winter of 2012, producer and creative director Josie Elizabeth Davis sat on the red line El pondering the industrious, flat horizon of coach houses and low-rise commercial zoning. 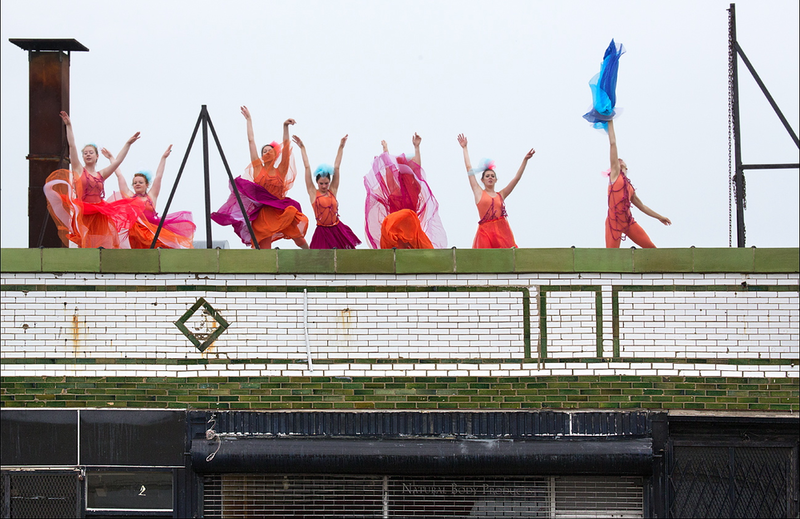 With her fellow commuters lost in technology, Davis imagined a series of colorful, unexpected, rooftop performances that would unplug commuters from their routine and encourage new relationships to form in ways that didn't already exist. 8 months later, Wake Up! 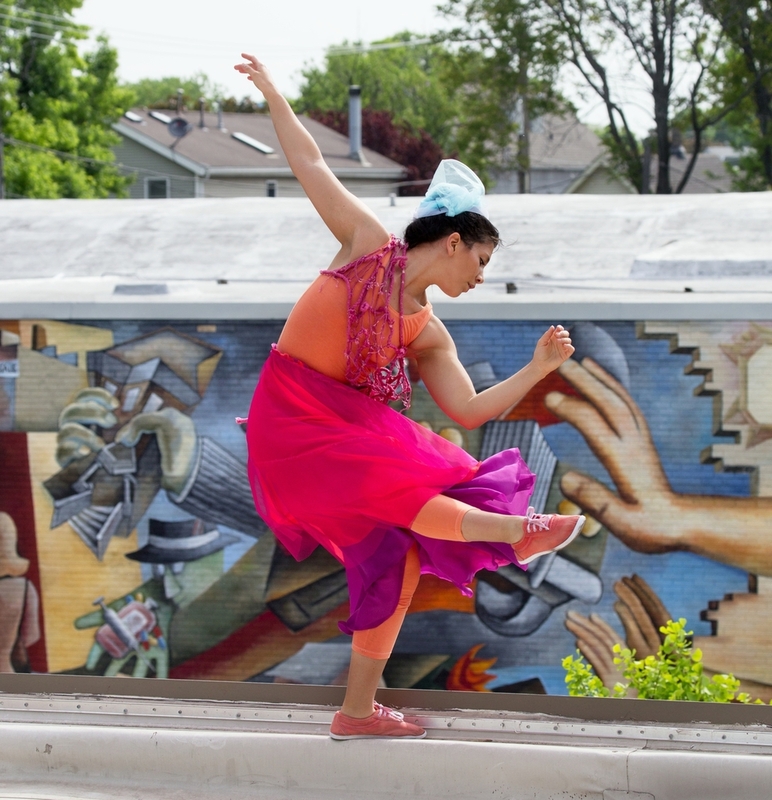 Waltz was performed across three Chicago neighborhoods - South Shore (south), Uptown (north), and Logan Square (northwest) - for 4 consecutive weeks in the spring of 2013, receiving critical praise from local, national, and international media outlets including ABC News, DNA Info, Chicago Tribune, and Step By Step Productions. Read about our upcoming 8-week remount across New York City in 2016.